Rita Roy, 94, of Biddeford, died Friday, November 30 at Southern Maine Health Care in Biddeford with her family by her side. She was born October 25, 1924 in Biddeford a daughter of Alfred and Merilda V. (Raymond) Valliere and was educated in Biddeford and Saco schools. After the death of her father when she was fifteen years old, she was lovingly raised by her mother and step-father Emile Ouellette. Rita was employed for several years at the J.J. Newbury department store on Main St. in Biddeford, and for a few years at West Point Pepperell. On February 1, 1944 she married Wilfrid H. Roy in St. Joseph’s Church. 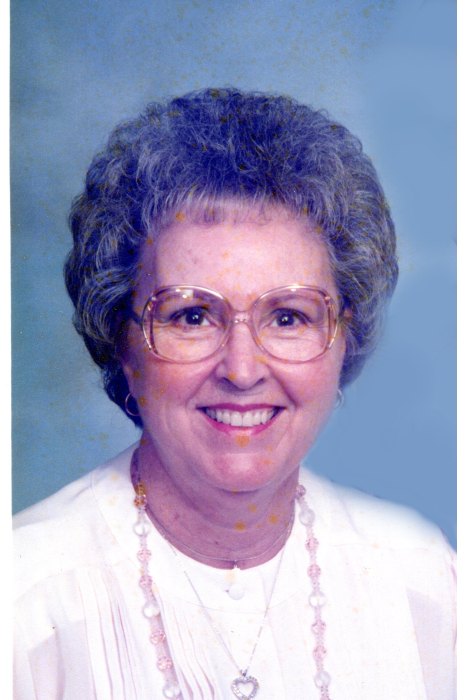 Rita was a member of the Luke E. Hart Council Auxiliary for over 40 years. She enjoyed crocheting and sewing, music and dancing. She loved to cook for her friends in Florida where she had wintered for 22 years. Wilfrid, her husband of 49 years, in 1993, her brother Roland Valliere in 2016, and her son R. Richard Roy in 2017. Visiting Hours will be 6:00 to 8:00 p.m. on Tuesday, December 4, 2018 at Hope Memorial Chapel, 480 Elm Street, Biddeford, ME 04005. A Mass of Christian Burial will be celebrated at St. Anne’s Chapel of St. Joseph’s Church on Wednesday, December 5th at 10:00 a.m. Burial will be in St. Joseph’s Cemetery. To share condolences online, please visit www.HopeMemorial.com.